Make the heads flip whenever you costume up with this grey net length designer suit. 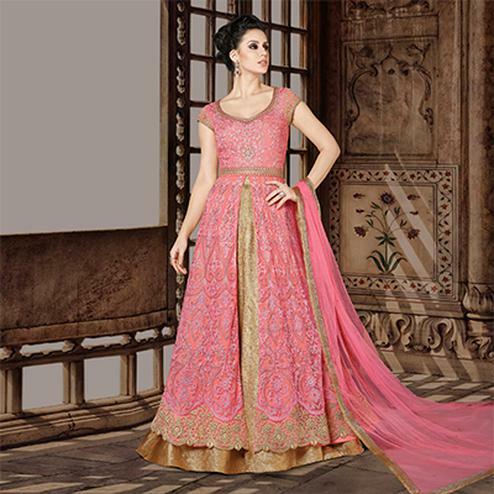 The amazing dress creates a dramatic canvas with wonderful embroidered lace and resham work. Available with matching color santoon fabric bottom satin lining including chiffon dupatta worked with lace and stones. Team it with classy accessories to make your looks more beautiful. This attire is perfect parties weddings festivals and receptions.